On an exclusive subcontract basis, Qualter Hall was appointed by main contractor C Spencer to design, supply, install and commission a 31m span swing bridge over the navigable River Hull. 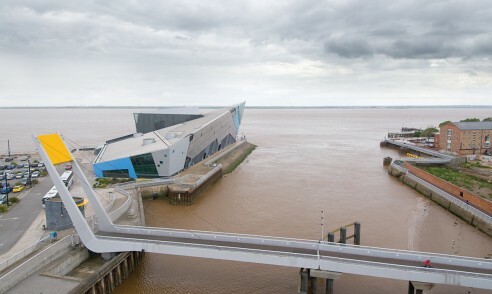 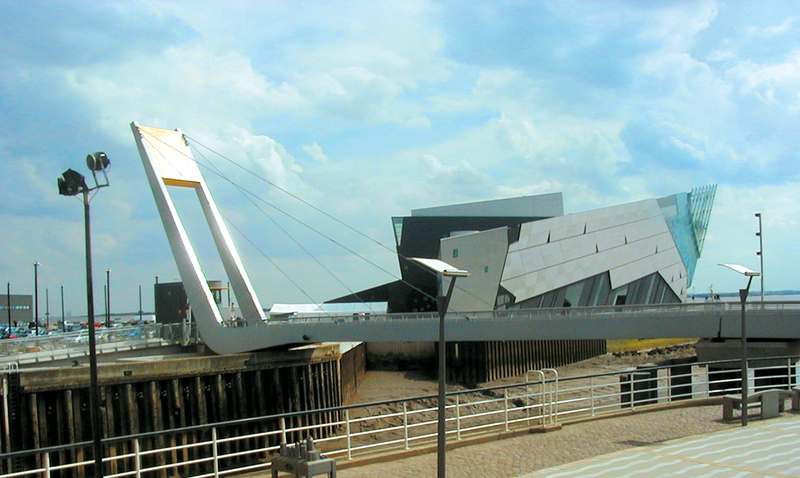 The bridge forms part of a waterfront promenade and provides pedestrian access from central Hull to 'The Deep' aquarium, a major visitor attraction, on the East bank of the River Hull, as it joins the Humber's estuary. 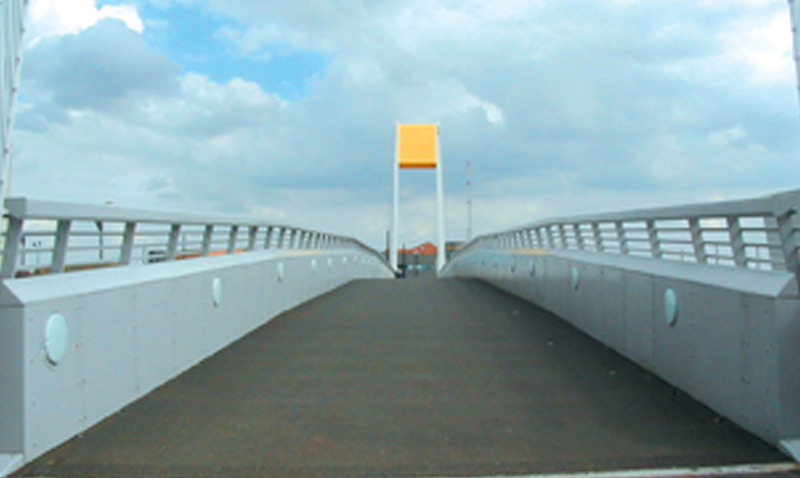 The architectural form of the bridge features an elevated counterweight box with balance loads being transferred through pre-tensioned bars. 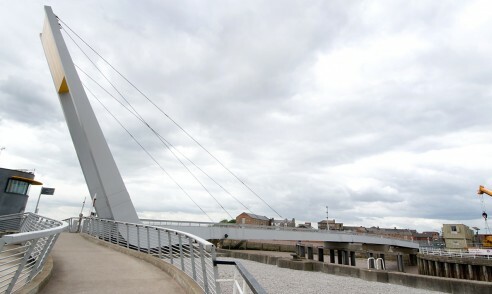 Qualter Hall's contract included the complete electrical drive and control system featuring 5 invertor controlled drive units, each comprising a 5.5kW braked motor and epicyclic planetary gearbox with a torque limiter between, providing drive system protection in the event of ship impact with the bridge.